Accommodation at Fergus View consists of 6 bedrooms - one family room, one twin room and four double rooms. All rooms are ensuite or have their own private bathroom. 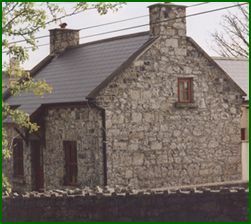 On the grounds of Fergus View, Mary has restored an old stone cottage - Tigh Éamoin. Accommodation here consists of a double or twin (convertible) downstairs with an adjacent bathroom and a double ensuite upstairs, as well as one other single room. In total it sleeps five people. Downstairs there is also a livingroom with stove, as well as an open plan kitchen. There is also a laundry room in the entrance courtyard. 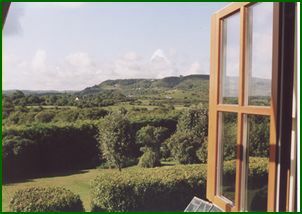 The cottage is situated on its own landscaped grounds and has received the highest Irish Tourist Board grading of 4 stars for self catering accommodation. Our season extends from Easter to the end of October. There is an additional single supplement if a single person is occupying a twin or a double. Rates for the cottage are available on request.